Did you know that next to water, tea is the most consumed beverage in the world? In 2017, Americans consumed over 84 billion servings of tea, or more than 3.8 billion gallons. Approximately 85 per cent of the tea consumed in America is iced. I don’t have statistics to verify it, but I’d guess most of the iced tea consumed is in the south and when you order tea in South Carolina, it’s assumed it’s sweet tea. Is there any other way to serve it? It’s culture in a glass, the signature beverage of the south. Many stories have circulated regarding the origin of iced tea. The most widely accepted is its introduction at the 1904 World’s Fair in St. Louis. Richard Blechynden, an American merchant promoting teas from India and Ceylon, offered cups of hot tea to passersby. On a steaming hot day, people wanted to cool off, not drink hot tea. In desperation, Blechynden poured his tea over a vat of ice and iced tea was born. Even though other stories circulate about the origin of iced tea, this desperate tea merchant is credited with popularizing and commercializing a fairly unknown beverage. Within ten years, Americans were buying tall glasses (which became known as iced-tea glasses), long spoons for stirring sugar into taller glasses, and lemon forks. Serendipities are not one-time events; they expand and spread. Serendipity—an unexpected pleasantry, finding something valuable or beneficial when you least expected it. At a writers’ conference a few weeks ago, I experienced serendipities when I met writers who lived in parts of the US. I enjoyed hearing about their writing genres and their writing journeys. I made new friends. I experienced a serendipity last week when I read a familiar passage of scripture and looked at it in a new way, applying it to a personal circumstance. I had a serendipity when I watched a video of my grandchildren and sat amazed at musical talent. A dear friend had the serendipity of watching her granddaughter’s graduation live streamed from another continent. 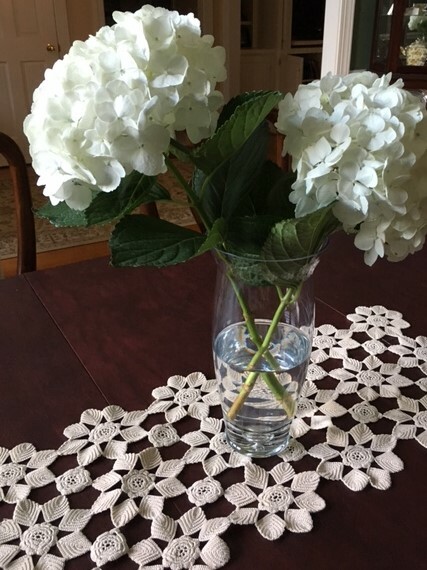 The serendipity of hydrangeas in full bloom remain healthy after a week in a vase. 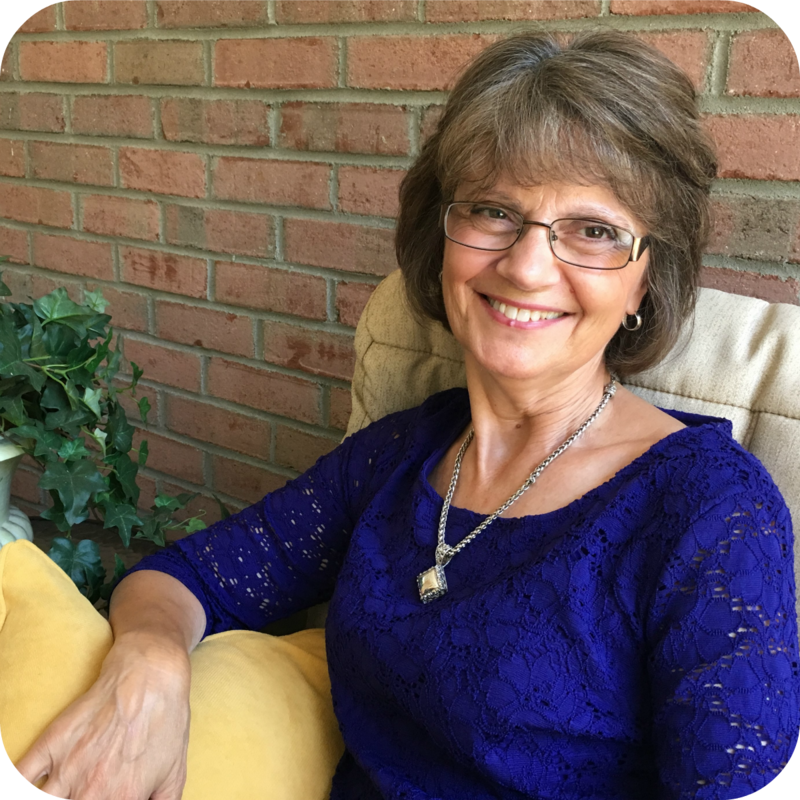 When I was part of a tea group and tea ministry several years ago in Pennsylvania, I wrote a devotional book about tea. Several serendipities came from a simple decision. Be on the look-out for serendipities today. Comment and share with us so we can enjoy your discovery. 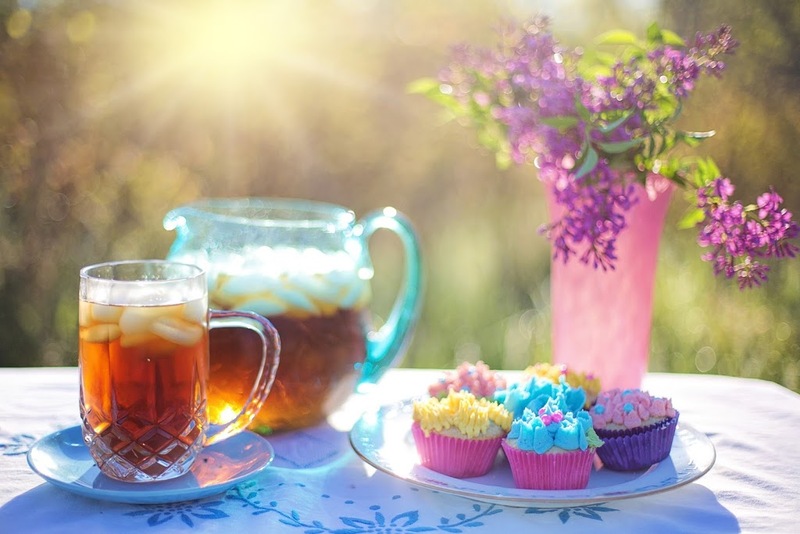 And…plan ahead, make some “sweet tea” and share a glass with a friend on June 10-National Iced Tea Day.You might exchange serendipities with each other, though my guess is, time together is serendipity enough.